The best images of 2018, from imaggeo, as chosen by our readers and followers. For the past few years we’ve celebrated the end of the year by rounding-up some of the best Imaggeo images. But it’s no easy task to pick which of the featured images are the best! Instead, we turned the job over to you! We compiled a Facebook album which included all the images we’ve used as header images across our social media channels and on Imaggeo on Mondays blog post in 2018 an asked you to vote for your favourites. Today’s blog post rounds-up the best 12 images of Imaggeo in 2018, as chosen by you, our readers. 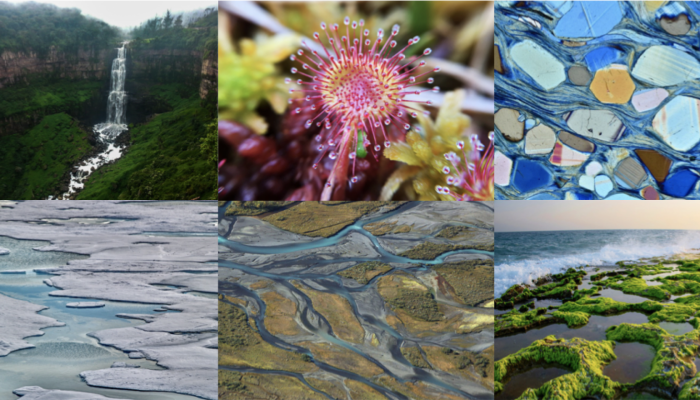 Of course, these are only a few of the very special images we highlighted in 2018, but take a look at our image repository, Imaggeo, for many other spectacular geo-themed pictures, including the winning images of the 2018 Photo Contest. The competition will be running again this year, so if you’ve got a flair for photography or have managed to capture a unique field work moment, consider uploading your images to Imaggeo and entering the 2019 Photo Competition. A view of the southern edge of the Ladebakte mountain in the Sarek national park in north Sweden. At this place the rivers Rahpajaka and Sarvesjaka meet to form the biggest river of the Sarek national park, the Rahpaädno. 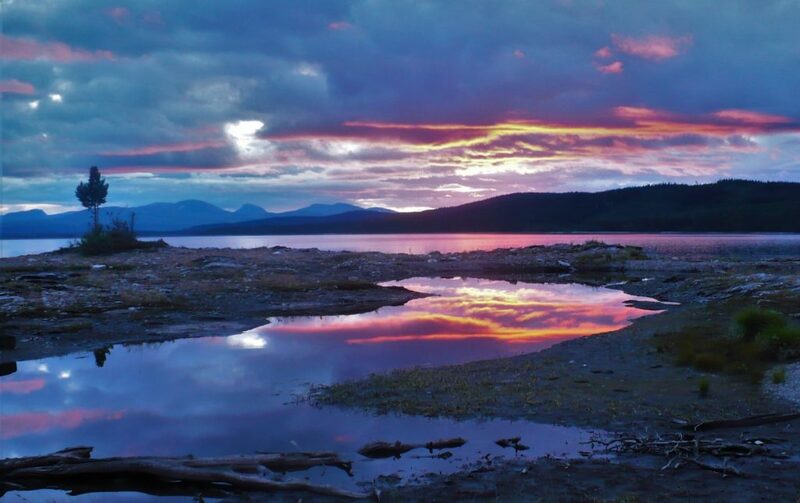 The rivers are fed by glaciers and carry a lot of rock material which lead to a distinct sedimentation and a fascinating river delta for which the Sarek park laying west of the Kungsleden hiking trail is famous. The February 2018 header image used across our social media channels. 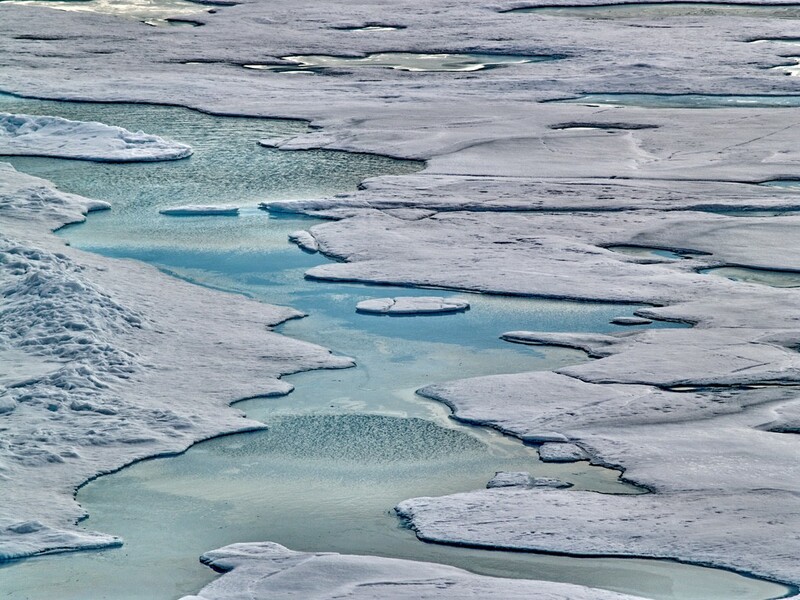 The photos features ponds of melted snow on top of sea ice in summer. The photo was taken from the Swedish icebreaker Oden during the “Arctic Summer Cloud Ocean Study” in 2008 as part of the International Polar Year. The June 2018 header image used for our social media channels. 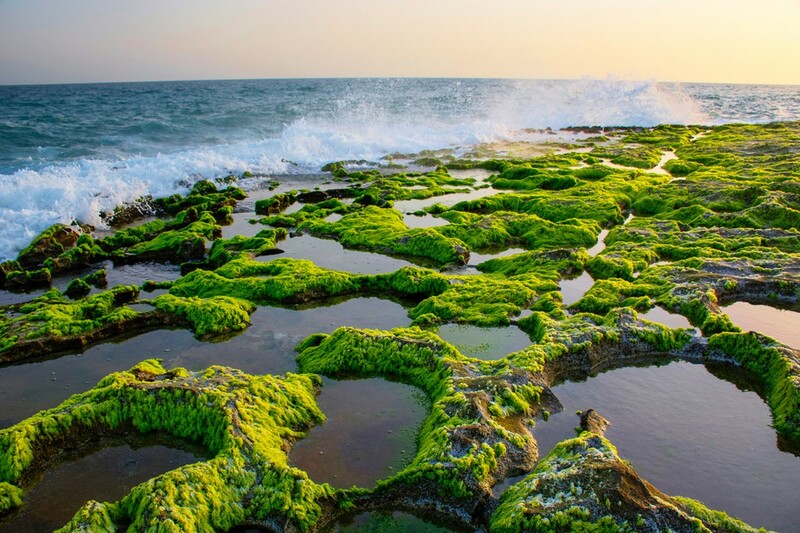 The photo was taken on the Northern coast of the Oman Sea, where the subduction of Oman’s oceanic plate under the continental plate of Iran is taking place. 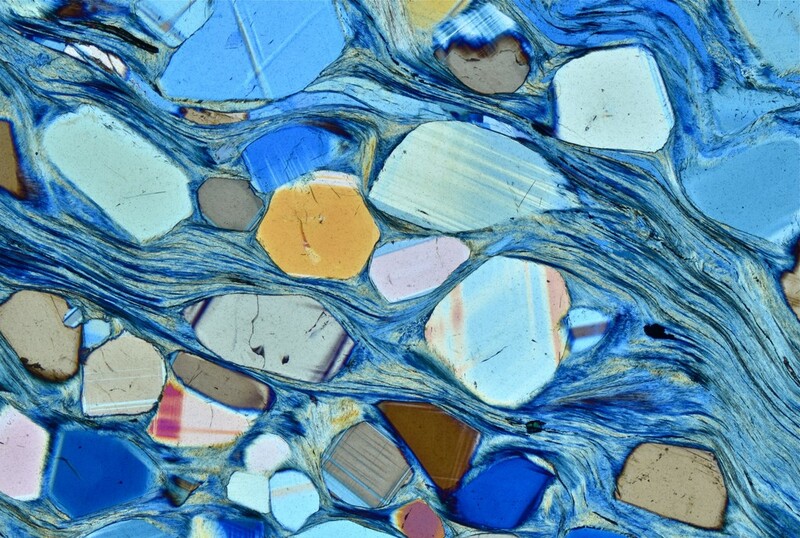 A polarized light photomicrograph of a thin section of a charoite-bearing schist. Charoite is a rare silicate found only at one location in Yakutia, Russia. For its beautiful and uncommon purple color it is used as a semi-precious stone in jewelry. Under the microscope charoite-bearing rocks give an overall feeling of movement, with charoite forming fibrous mats that swirl and fold as a result of deformation during metamorphism. It may be difficult to conceive, but these microstructures tell us that solid rocks can flow! The action of glaciers combined with the structure of the rock to form this little platform, probably once a small lake enclosed between a moraine at the mountain side and the ice in the valley. 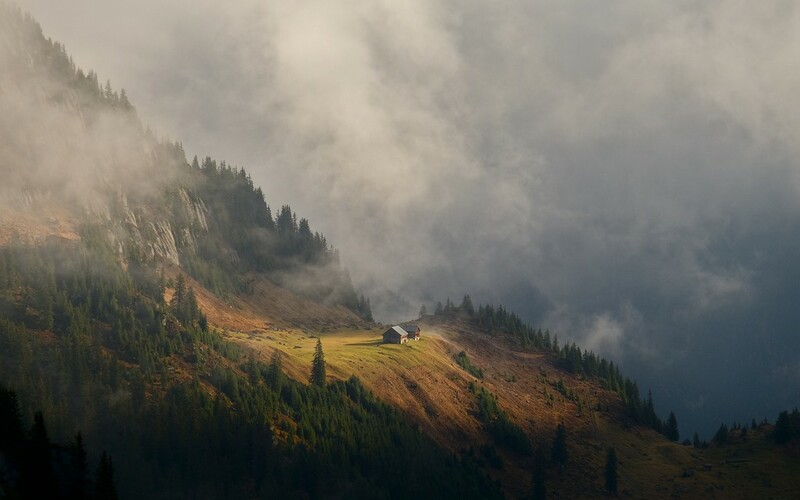 Now it has become a green haven in the mountain landscape, a perfect place for an alp. In the Alps, stratus clouds opening up on autumn mornings often create gorgeous light display. Antarctic Fur Seal and columnar basalt Credit: Etienne Pauthenet (distributed via imaggeo.egu.eu). 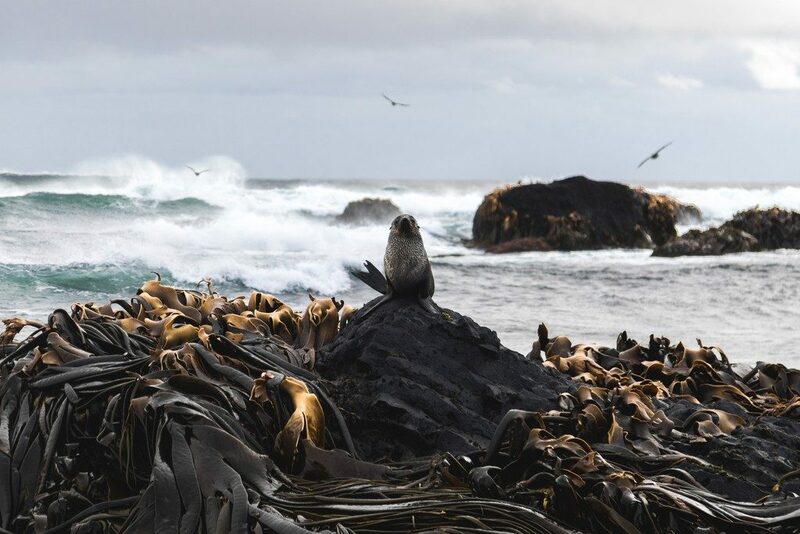 This female fur seal is sitting on hexagonal columns of basalt rock, that can be found in Pointe Suzanne at the extreme East of the Kerguelen Islands, near Antarctica. This photo was the November 2018 header image for our social media channels. Silent swamp predator. 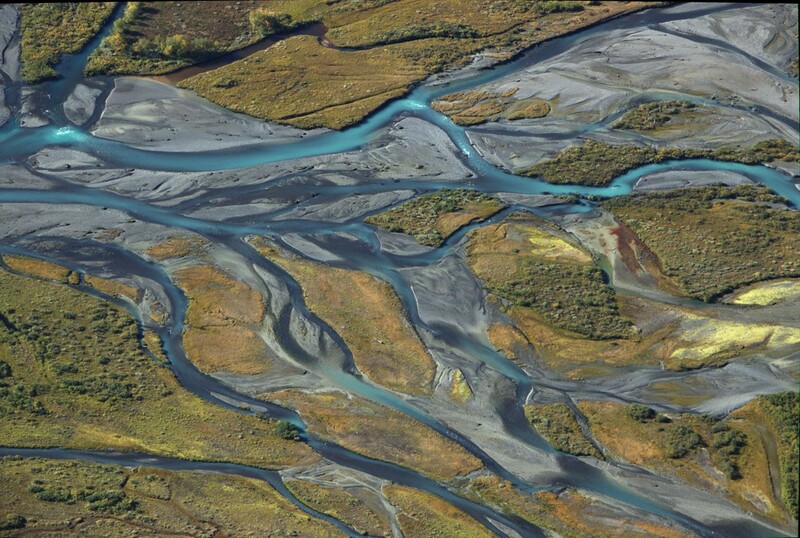 Credit: Nikita Churilin (distributed via imaggeo.egu.eu). 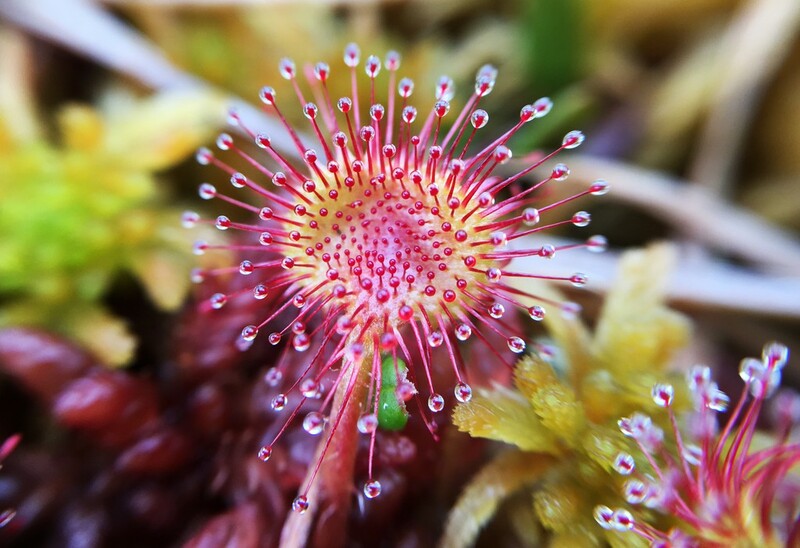 A macro shot of a Drosera rotundifolia modified sundew leaf waiting for an insect at swamp Krugloe. This photo was the January 2018 header image and one of the finalists in the 2017 Imaggeo Photo Competition. New life on ancient rock. Credit: Gerrit de Rooij (distributed via imaggeo.egu.eu). “After two days of canooing in the rain on lake Juvuln in the westen part of the middle of Sweden, the weather finally improved in the evening, just before we reached the small, unnamed, uninhabited but blueberry-rich island on which this picture was taken. The wind was nearly gone, and the ragged clouds were the remainder of the heavier daytime cloud cover,” said Gerrit de Rooij, who took this photograph and provided some information about the picture, which features some of the oldest rocks in the world but is bursting with new life, in this blog post. 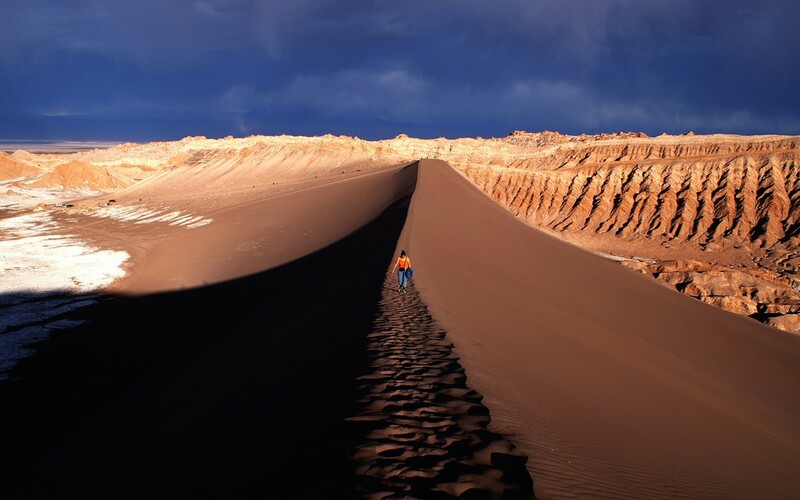 The photograph shows the Valle de la Luna, part of the amazing Cordillera de la Sal mountain range in northern Chile. Rising only 200 metres above the basin of the Salar de Atacama salt flat, the ridges of the Cordillera de la Sal represent a strongly folded sequence of clastic sediments and evapourites (salt can be seen in the left portion of the image), with interspersed volcanic material. 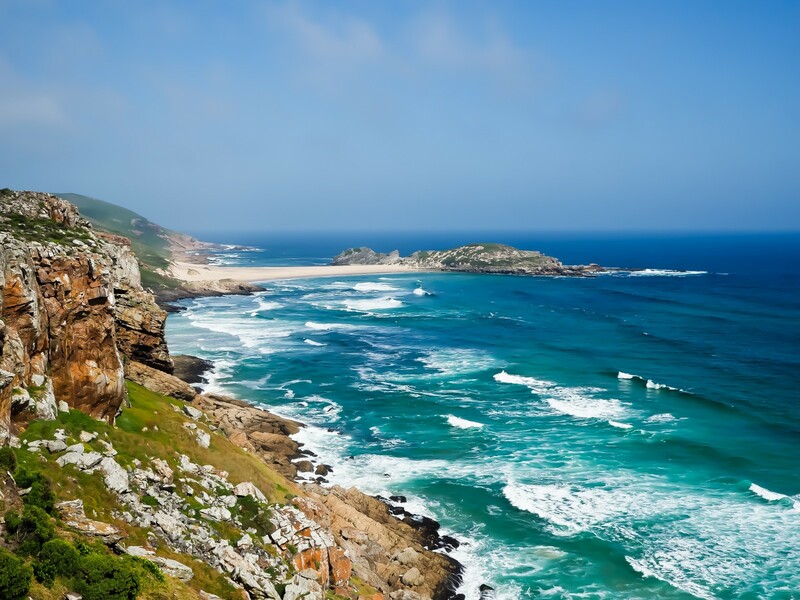 Robberg Peninsula – a home of seals. Credit: Elizaveta Kovaleva (distributed via imaggeo.egu.eu). “This picture is taken from the Robberg Peninsula, one of the most beautiful places, and definitely one of my favorite places in South Africa. The Peninsula forms the Robberg Nature Reserve and is situated close to the Plettenberg Bay on the picturesque Garden Route. “Rob” in Dutch means “seal”, so the name of the Peninsula is translated as “the seal mountain”. This name was given to the landmark by the early Dutch mariners, who observed large colonies of these noisy and restless animals on the rocky cliffs of the Peninsula,” said Elizaveta Kovaleva in this blog post. 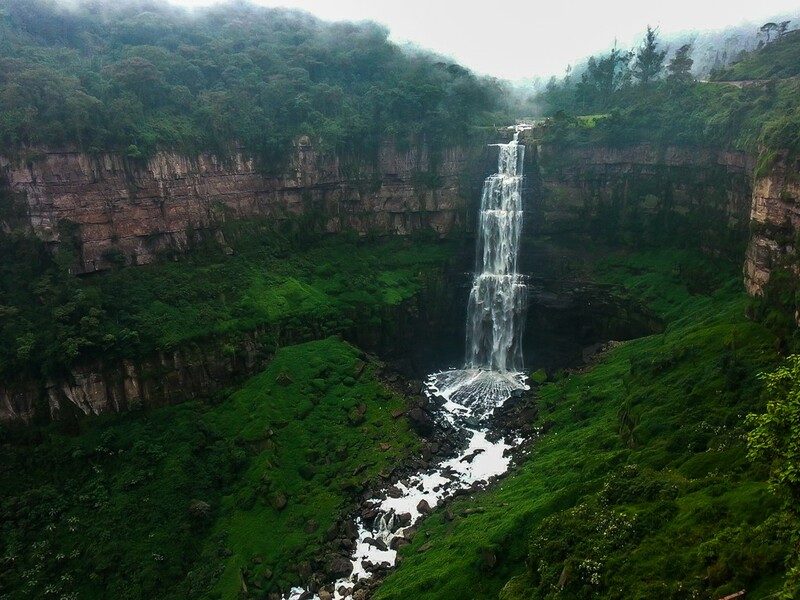 Tequendama fall is a natural waterfall of Colombia. This blog post highlights a Colombian myth about the origins of the waterfall, which is tied to a real climate event. If you pre-register for the 2019 General Assembly (Vienna, 07 – 12 April), you can take part in our annual photo competition! From 15 January up until 15 February, every participant pre-registered for the General Assembly can submit up three original photos and one moving image related to the Earth, planetary, and space sciences in competition for free registration to next year’s General Assembly! These can include fantastic field photos, a stunning shot of your favourite thin section, what you’ve captured out on holiday or under the electron microscope – if it’s geoscientific, it fits the bill. 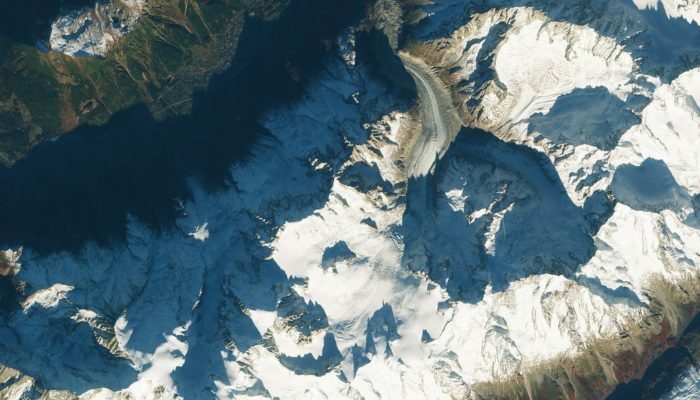 Find out more about how to take part at http://imaggeo.egu.eu/photo-contest/information/. The occurrence of sporadic permafrost in the Alps often needs challenging fieldwork in order to be investigated. Here in the high altitude karstic plateau of Mt. 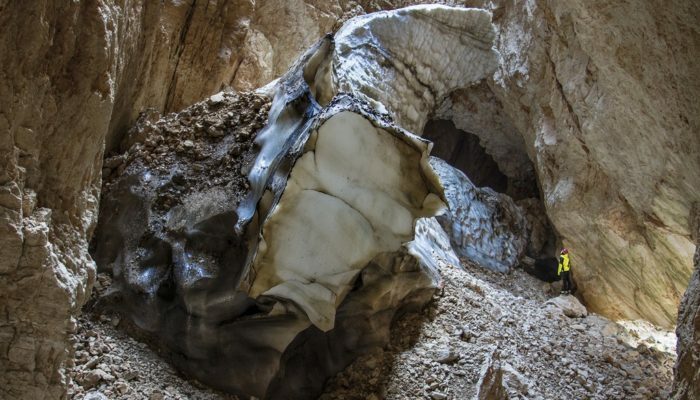 Canin-Kanin (2587 m asl) in the Julian Alps (southeastern European Alps) several permanent ice deposits have been recently investigated highlighting how also in such more resilient environments global warming is acting rapidly. 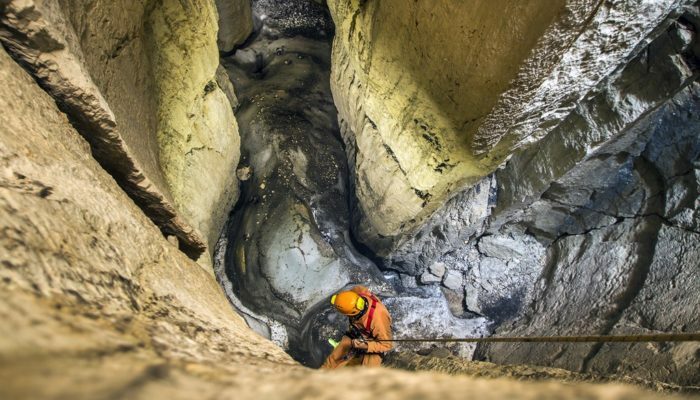 Important portions of the underground cryosphere are actually rapidly melting, loosing valuable paleoarchives contained in the ice. 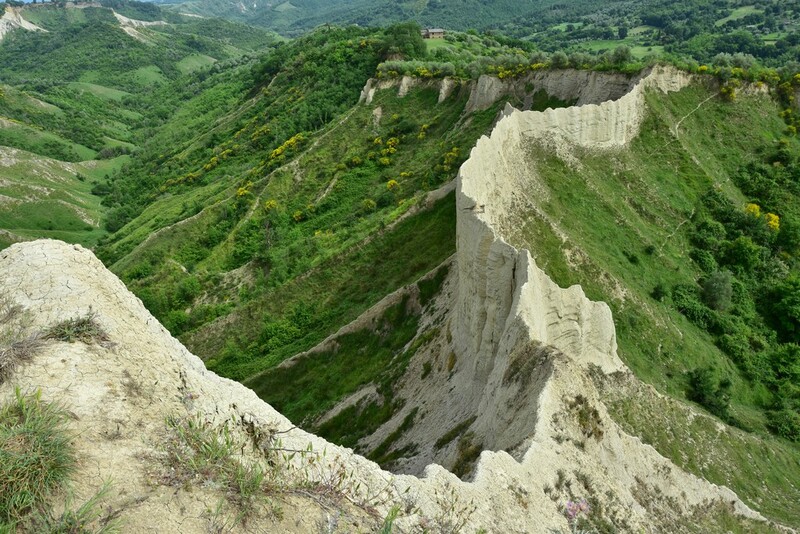 Description by Renato R. Colucci, as it first appeared on imaggeo.egu.eu.